It seems that it`s gonna be a big Cart2Cart`s party! Excited? We too! Cart2Cart cherishes and loves its clients and anything can`t stop it from preparing more great surprises for you. 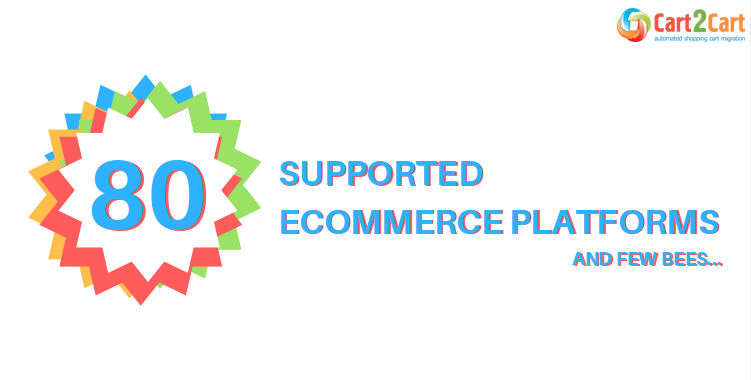 Today we're reaching a new milestone and pleased to announce that from the very moment we support migration to 80 eCommerce platforms. The 80th eCommerce engine available for migration via Cart2Cart becomes Thirty Bees. Cheers! We couldn't miss the chance to help our clients enjoy the beauty of this awesome community. Thirty Bees is an open-source feature-packed fork of PrestaShop 1.6 which decided to take its own business path. It puts a special emphasis on the community needs and aims to ensure 100% user satisfaction. Though being around for no more than a half of year at the time this news post is written, Thirty Bees demonstrates a rapid development. The dev team has initially made 2500 bug fixes to its software, established a number of important partnerships, introduced some exciting features and even started an ElasticSearch module crowdfunding campaign! Shall we help? We love the path Thirty Bees has taken and hope seeing them succeed in the strive to build a truly community-driven solution. If you happen to want contribute to this eCommerce engine as a developer, there’ s a chance! And if you decide to run your business using this eCommerce solution, there’s nothing that could stop you know - migrate to Thirty Bees with industry most convening automated migration service! How Many eCommerce Platforms Again? Cart2Cart is the world’s #1 automated shopping cart migration service with more than 45,000 successful switches. The tool lets you move products, orders, customers, categories and other related data easily with no programming, no manual database manipulations or code altering required. Cart2Cart will do all the work for you and move that valuable shopping cart data to a desirable eCommerce platform swiftly ensuing a 100% current store uptime. What's more, you can benefit from Cart2Cart’s 24/7 support staff that provides the solutions to any tech-related issues. Ready to give a new breath to you perfect store? Take a chance, start a FREE Demo Migration to any of 80 eCommerce platforms and enjoy the easiness of procedure!